If you feel as though you have bad breath, a dental cleaning can help. Persistent bad breath, known as halitosis, can be caused by a variety of different reasons. Dental cleaning in our office can improve it- especially when it is related to the bacteria in your mouth. Normal Bad Breath: While normal amounts bad breath can occur when one does not brush his or her teeth for a few hours, the more often one does not brush, the worse it can smell. Since the mouth is full of millions of bacteria, it can easily become overrun with stinky smells. This can be fixed by a quick tooth brushing and flossing. Improper Dental Hygiene: If one does not brush and floss enough, food particles can remain trapped between teeth. This can cause decay which may also be to blame for bad breath. If food particles are stuck for too long, they can begin to rot causing stinky breath to occur. When visiting our office for a dental cleaning, we can improve one’s breath and instruct people on better oral hygiene practices. Food:Some foods and drinks have stronger smells that remain in the mouth for hours to days. It may take longer for brushing to remove these smells. Coffee, garlic, onions, and cheese are a few of the culprits. Mouth Infection: If a patient has a severe cavity, mouth sores, or periodontal disease, which is also known as gum disease, the infection can cause an unpleasant odor. 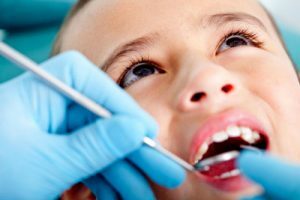 For these issues, visit our office for a checkup and dental cleaning. General Infection: Infections in the throat or sinuses can also contribute to bad breath. These can be improved by visiting a doctor for antibiotics or other appropriate treatment. Tobacco Use: Consistent smoking and other forms of tobacco use can give patients a stale stench in their mouth. Smoking and tobacco use are also bad for oral health in general. Dry Mouth: Dry mouth has a variety of causes. A doctor can help determine why people have dry mouth. Since saliva helps cleanse the mouth and remove food and bacteria, dry mouth can lead to bad breath. Tonsil Stones: Tonsil stones commonly occur when food particles or bacteria get stuck in the flaps of the tonsils. When this occurs, bacteria growth happens and an unpleasant odor may follow. Patients can try to remove tonsil stones by rinsing with mouthwash or by gently prodding them with q-tips. If the tonsil stones worsen or do not come out within a few days, visit a doctor to make sure it does not cause for concern. These are a few of the causes of bad breath in many of our patients. A proper dental cleaning can improve your breath drastically. We will remove unnecessary bacteria and plaque build-up that may be contributing to unpleasant odors. Not only will a dental cleaning in our Placentia dental office improve your breath, but it will also improve your overall dental health. © 2019 Gilberto G. Garcia, DDS. All Rights Reserved.